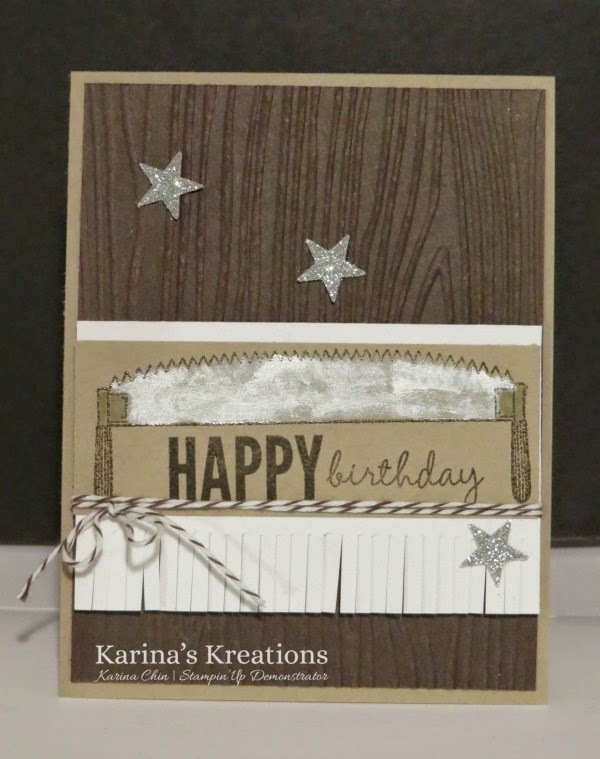 Karina's Kreations: New Occasions Wood You Be Mine Sneak Peak! New Occasions Wood You Be Mine Sneak Peak! I won this super cute stamp set called Wood You Be Mine at the New Catty Kickoff Party Stampin'Up held. This stamp set is so fun and is perfect for masculine cards. The greeting is from a new set called Celebrate Today! I colored the saw with a old Blender pen and Silver Metallic Encore Ink Refill.